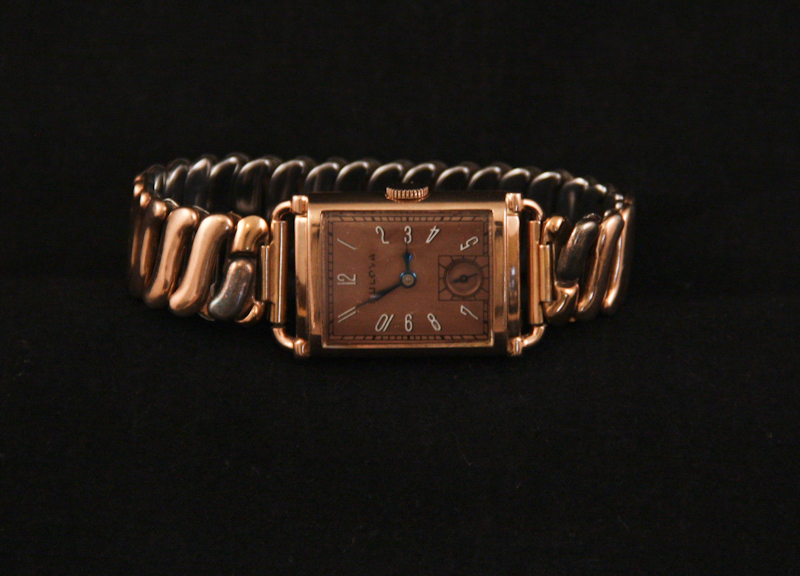 Classic 1940s Bulova with a high quality 21 jewel movement, a rose gold case and the original matching rose gold expansion band. 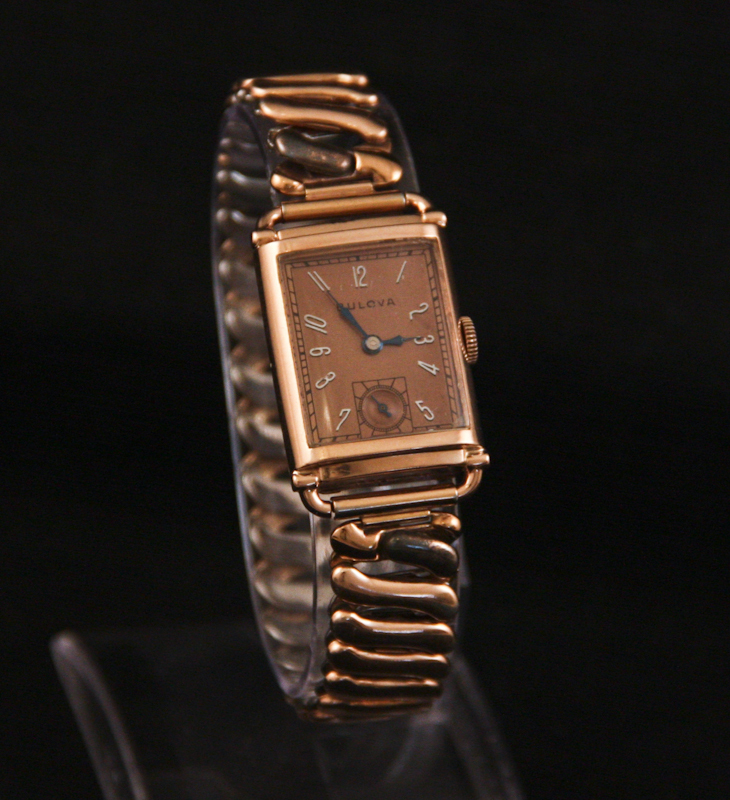 A late 1940s rose gold Bulova President type E, in Excellent condition. 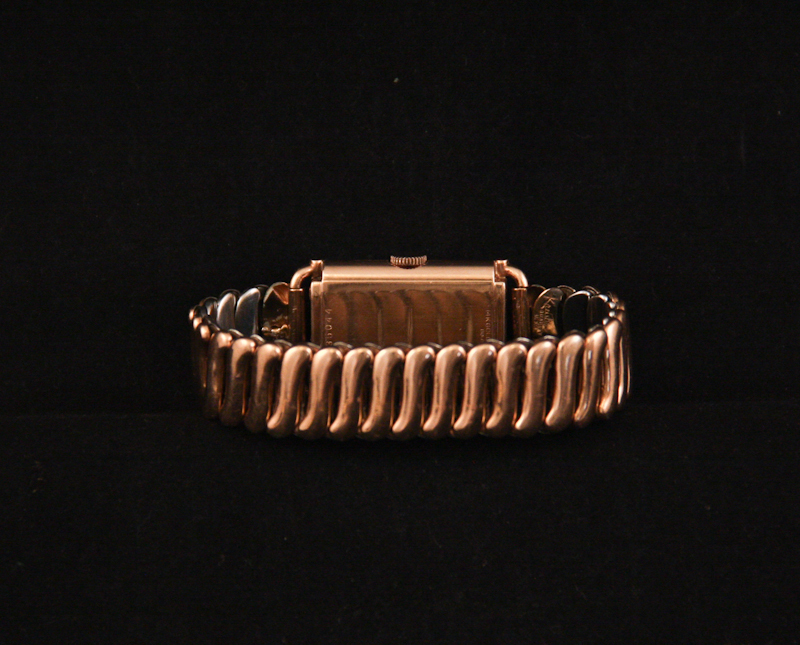 This watch includes the original rose gold expansion band. 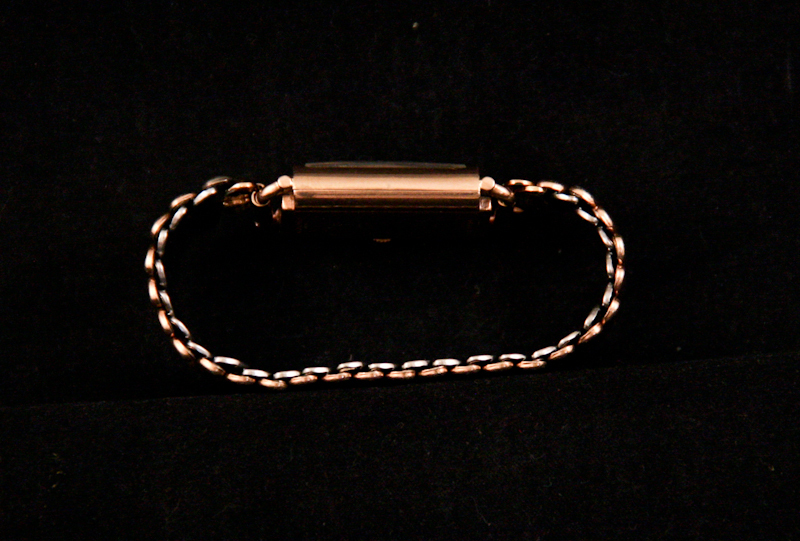 The watch case is 14K rose gold filled, bezel and back, and shows no signs of brassing or wear through. The crystal glass and may be original. The crystal does show some wear, but no chips or cracks. The copper-colored dial with exploding white numbers is in Excellent shape with no spotting or wear. The blues steel hands show no signs of wear or corrosion. 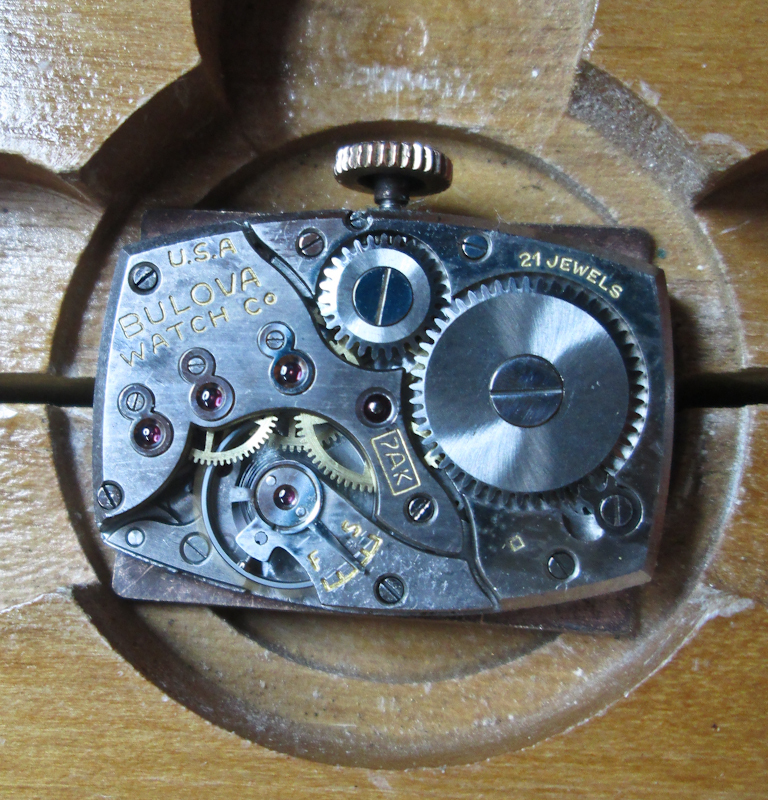 The movement in this watch is Bulova’s high quality 7AK, a 21 jewel movement. The movement is running well and keeping good time. 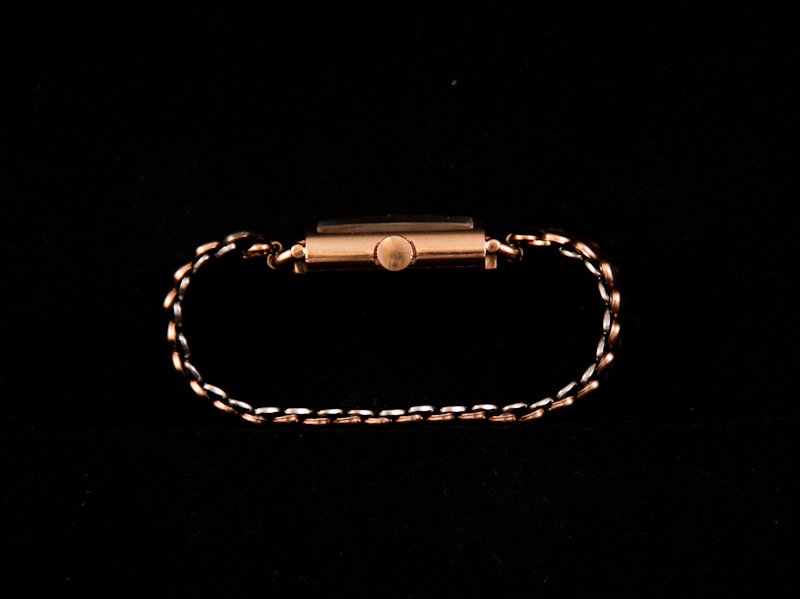 We believe the band on this watch is the original rose gold expansion band. It matches the watch color perfectly and is working well. 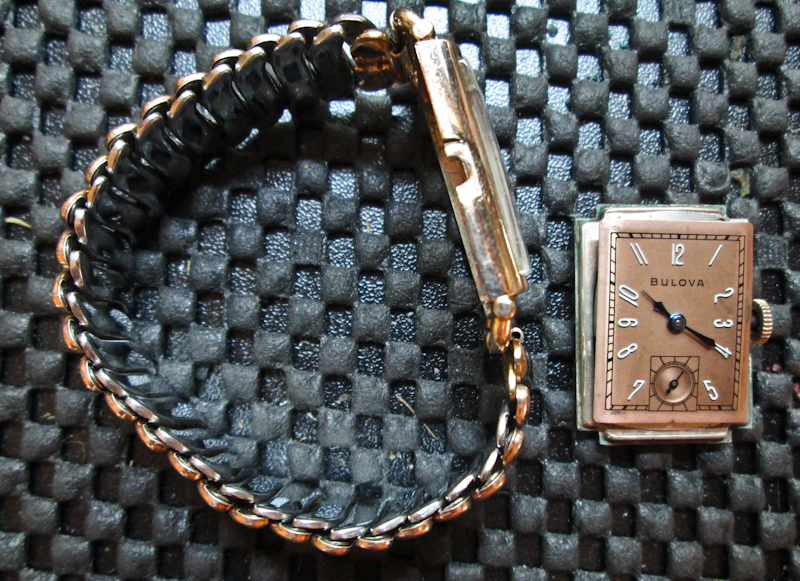 The only flaw with the band is the discoloration of the two links where the band attaches to the watch head. You can see this in the photos. While this does detract from the band somewhat, we left it in place as it was the original. 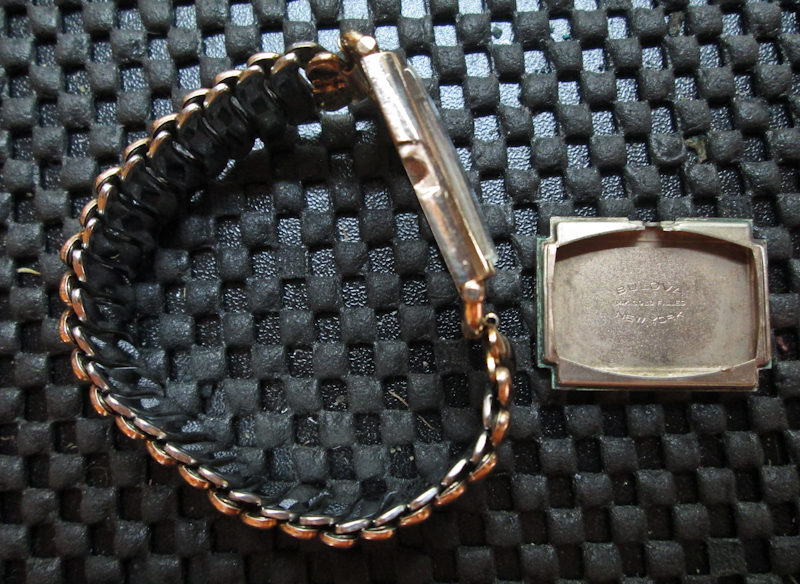 If you wish to change the band at some point, it’s an easy replacement (this watch uses standard spring bars). All-in-all, an excellent vintage piece.